If you are staying in hotel Meri Puensum, hotel Zandopelri or hotel Densa, early morning it will be a treat to walk up to the hilltop to visit the nunnery and interact with the nuns and enjoy the magnificent view of Punkha and Wangdi valley. 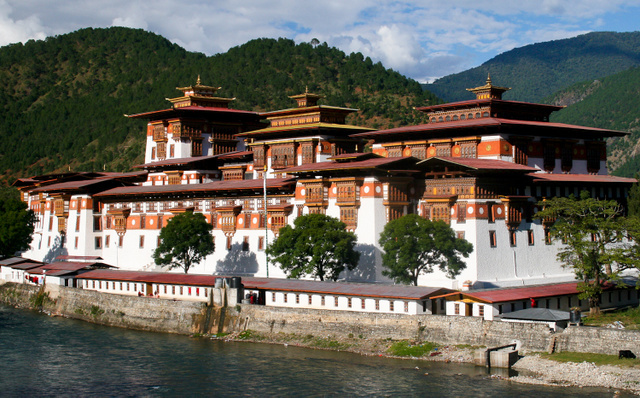 Later after breakfast drive to visit Punakha Dzong (fortress), which houses the most elaborated temple in the country. 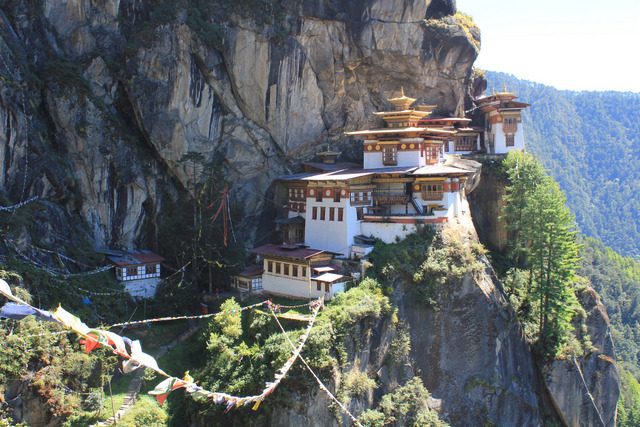 This is a must to see fortress in Bhutan and a fine example of Bhutanese rich Art and Architecture. Retrace your drive back to Paro. En route could stop in Thimphu for lunch. After lunch could continue some of the sightseeing that you might have had missed earlier. Later in the afternoon continue your drive to Paro. Upon arrival in Paro, visit Paro Dzong (Fortress) on foot and continue walking through the oldest wooden bridge still in use. Continue further to stroll around the old Paro town and peep into some local handicrafts stores. Could get some opportunity to see the traditional game, Archery match going on. Evening back to the hotel.